For 25 years, Franco’s has built a dedicated following of customers who flock to the restaurant for our famous handmade gnocchi, pastas, meatballs and massive pork chops, in addition to our contemporary and fresh salads, and seafood entrees. Franco’s offers complete bar service in addition to a welcoming old-neighborhood environment in this family-owned restaurant. Die-hard lunch fans from Bridgeport, Chinatown, the South Loop, Pilsen, the University of Chicago and the IIT campuses visit Franco’s for the delicious Grilled Chicken on Ciabatta sandwich as well as fresh salads. 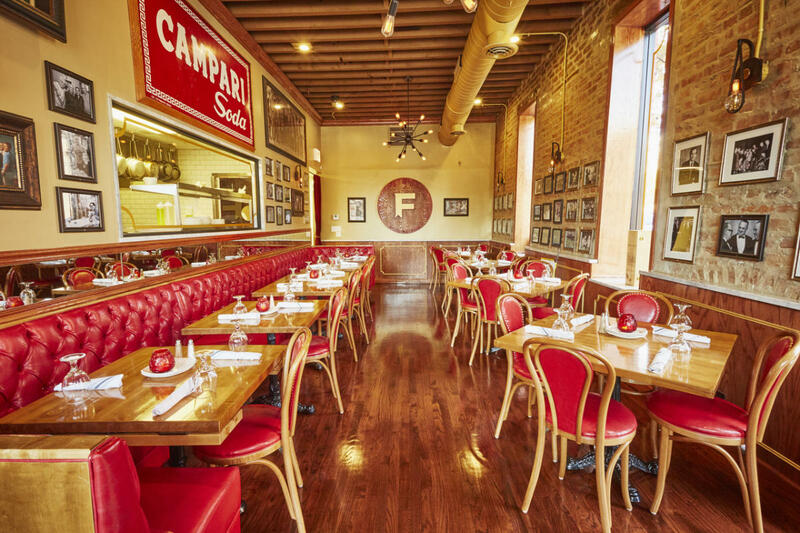 Franco’s is also host to many family and business gatherings. McCormick Place convention-goers who want a relaxed, friendly setting and quality meals after the show reserve business dinners and luncheons for their teams and clients. Families rely on Franco’s for their wedding rehearsal dinners, baptisms, graduation, Holy Communion and other celebrations.